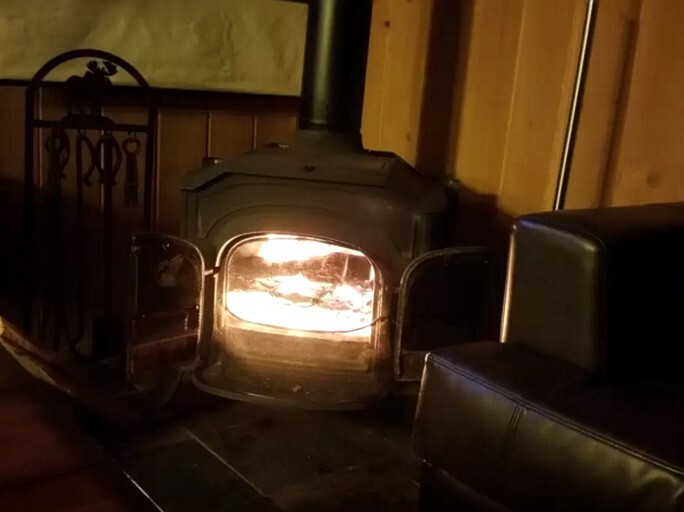 This cabin retreat has three bedrooms and one bathroom, and it comfortably sleeps up to six people. The master bedroom has one king-sized bed, the second bedroom downstairs has one queen-sized bed, and the third bedroom has one bunk bed. 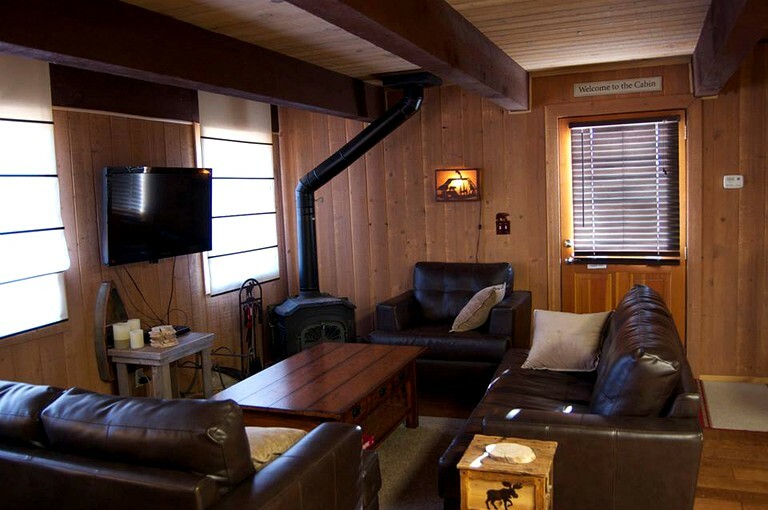 This two-story cabin boasts scenic views of Bear Mountain and Snow Summit. 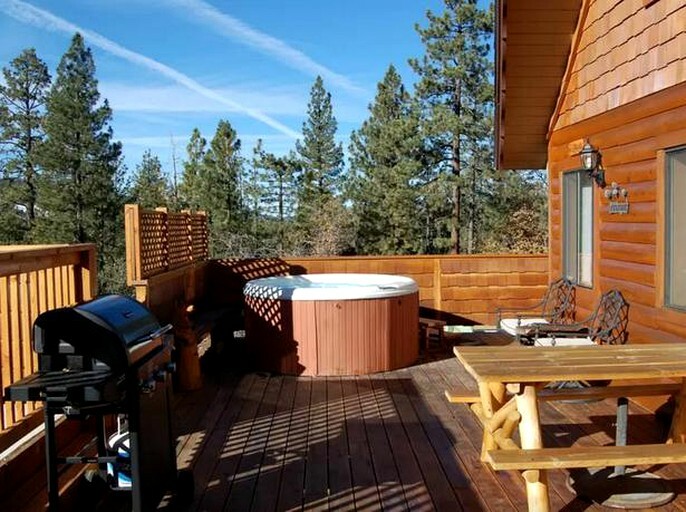 You can even see the mountain peaks from the Jacuzzi on the private deck. 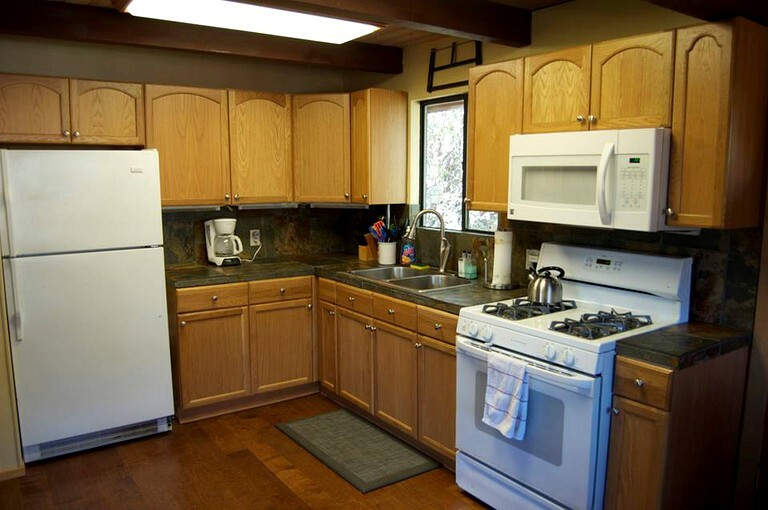 The kitchen is fully equipped with everything needed for preparing wonderful meals in the cabin. There is a large dining room table just off of the kitchen, and a spacious deck outside with an additional picnic table and an outdoor grill. 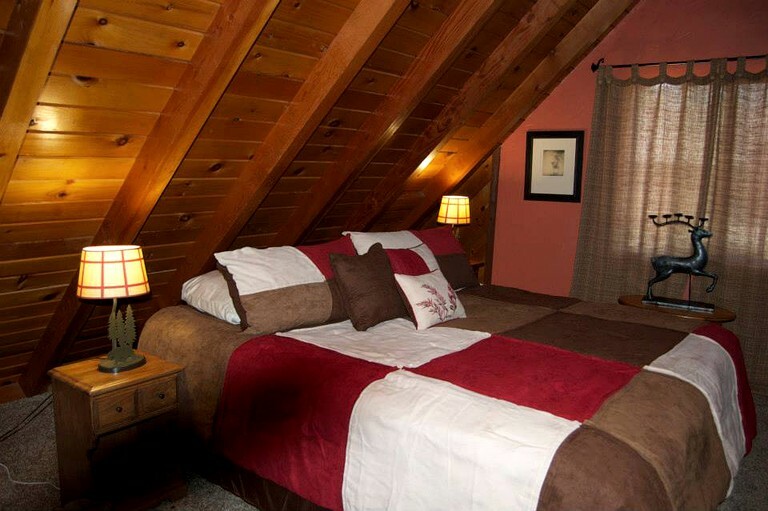 This luxurious cabin comes equipped with all the comforts you’d expect in a luxury hotel. 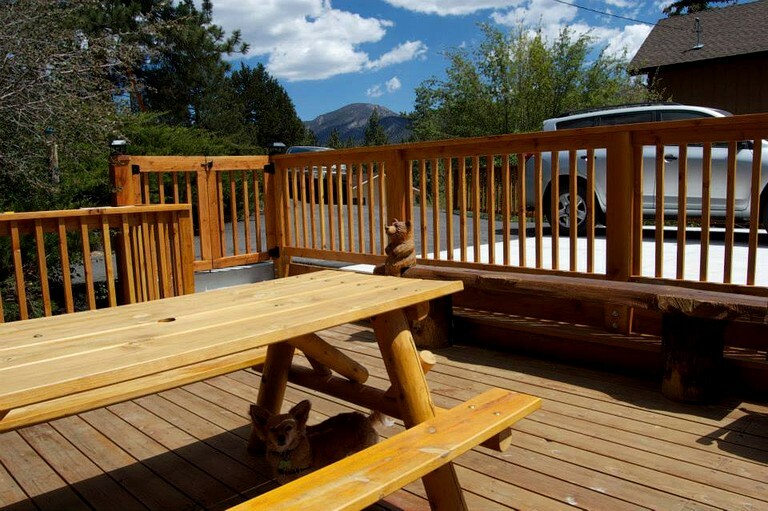 The highlight is definitely the raised private deck with grill, picnic table, chairs, and the hot tub. There’s a flat parking deck for up to four cars and a tank-less water heater which means access to hot water all year round. There’s also free Wi-Fi for your convenience. This property near Big Bear, California sits in the San Bernadino National Forest providing a stunning backdrop for a nature-filled glamping getaway. 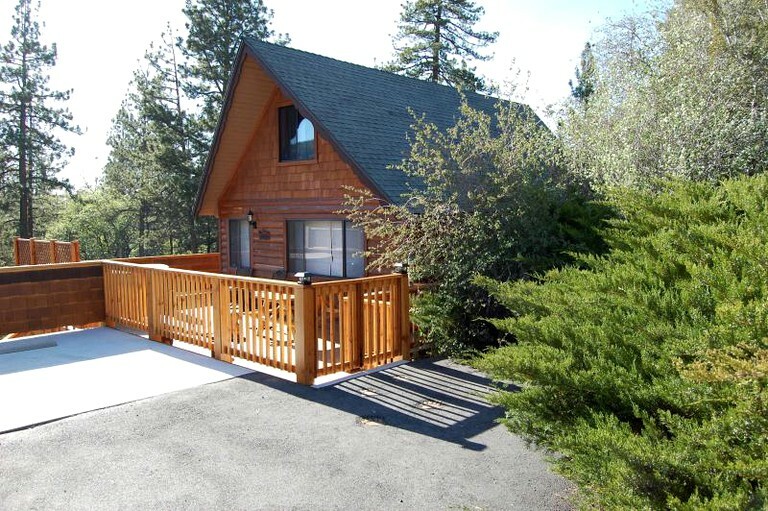 The property not only comes with views but also access to the ski resorts of Big Bear Mountain and Snow Summit, just five minutes away. Guests can reach the lake and Big Bear Village in under ten minutes. 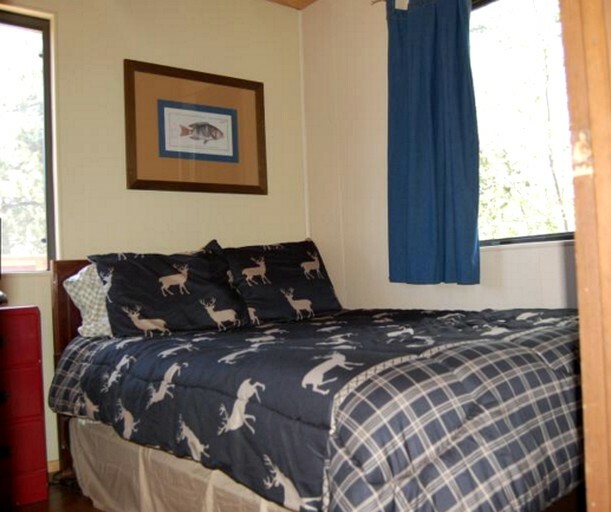 Guests can partake in a wide array of fun activities while glamping in Big Bear. Skiing, snowboarding, sledding, and snowmobiling are popular during the winter in this area. In the summer, guests can visit Big Bear Lake and go swimming, water skiing, wake boarding, sailing, fishing, or kayaking. Guests can also enjoy mountain climbing, mountain biking, cycling, and hiking during the warmer months. In the village of Big Bear, there are many fantastic restaurants, shops, and movie theaters that guests are encouraged to visit during their stay. There’s plenty of natural attractions in the local area aside from the Lake such as the hot springs and the San Bernardino National Forest. 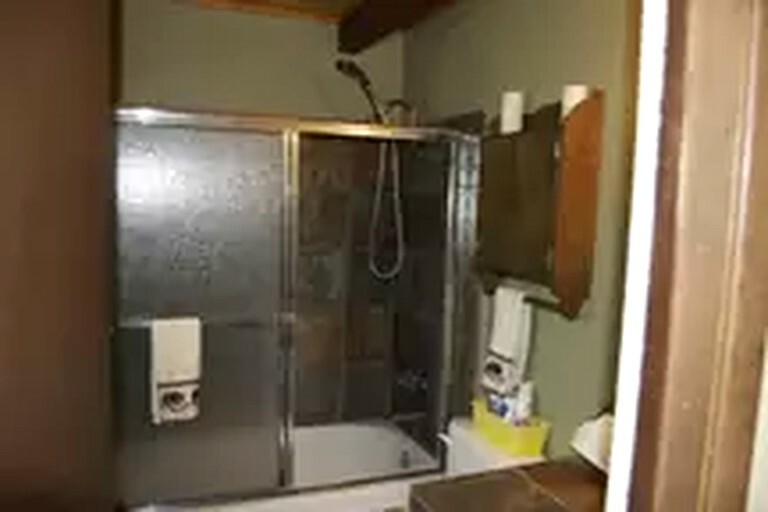 After a long day of golfing, hiking, or shopping you can unwind with a bubble bath or a soak in the spa while gazing up at the stars at this accommodation.